I noticed we got a new camera from Jakarta recently. This made me curious as to where our cameras are located. 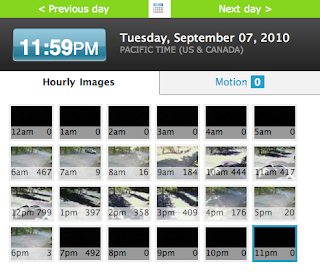 When a user adds a camera to sensr.net, they can set the timezone. This allows us to show nice daily views of what's happening on their camera, as shown above. I ran the following SQL command and you can see that we currently cover 31 time zones, including our new friend in Jakarta. Nice!